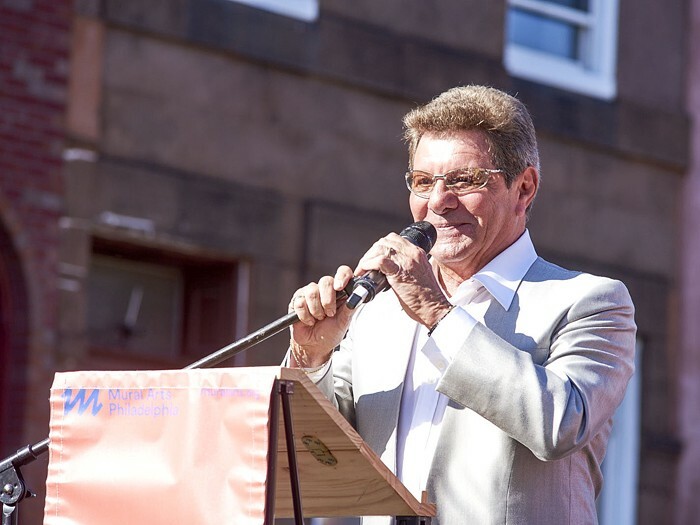 Frankie Avalon has resided in California for nearly six decades, but he never neglects to laud his native turf as the inspiration for his show business career. 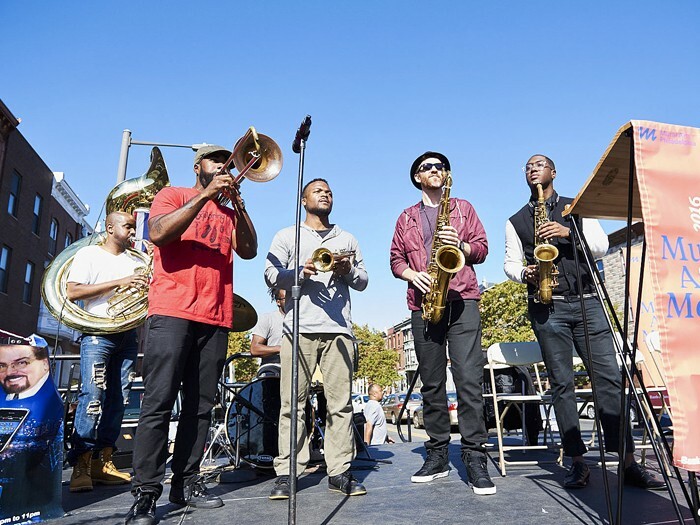 On Saturday, the 76-year-old icon and other melody makers and mavens gathered at 1532 S. Broad St. for the dedication of the South Philly Musicians Remix Mural. 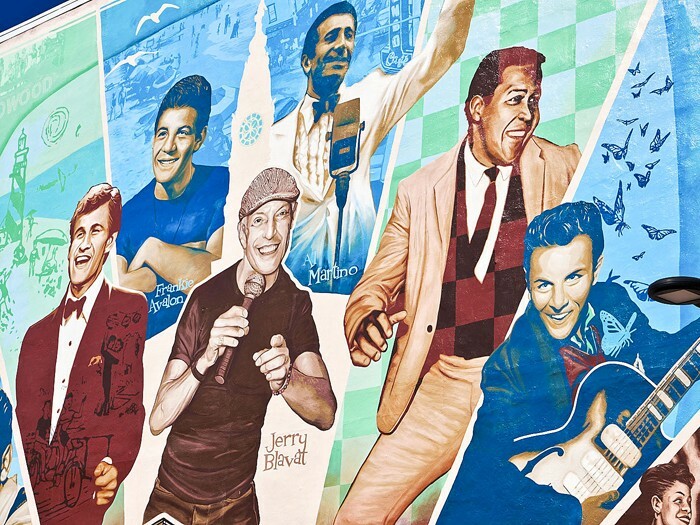 A likeness of The Golden Boy, who most identifies with the West Passyunk neighborhood, having logged eight years on the 1900 block of South Hemberger Street, joins images of Eddie Fisher, Fabian Forte, Bobby Rydell, Jerry Blavat, Al Martino, Chubby Checker, Charlie Gracie, James Darren, and Danny Cedrone as components of the vibrant work by lead muralist Eric Okdeh. As a commission from Mural Arts Philadelphia, the addition features “remix” in its name to acknowledge the original artistic tribute at 1231 E. Passyunk Ave. The result is a stunning “Thank you” to local pioneers of tunes that helped to shape the music scene of the 1950s and ’60s. Through a May conversation with Blavat, everyone’s favorite radio showman, Okdeh began to consider the scope of the endeavor and set out to commend the depicted figures’ prominence. The newly minted executive director of the East Passyunk Avenue Business Improvement District gushed when recounting that Avalon’s ’59 smash hit “Venus” was one of the first records that her father bought for her. Along with eye-catching depictions of the musical heroes, Okdeh, who has created public art for 18 years, made sure to add images of high-charting records and included personal symbols for each star, such as a beach background for Avalon to tout his films with Annette Funicello. The dedication marked the halfway point of Mural Arts Philadelphia’s Mural Arts Month celebration. With nearly 4,000 creations, the art behemoth has helped the city to distance itself from every other metropolis in the world as an employer of eager innovators. Partial backing for the project came from some of the honorees, with 1st District Councilman Mark Squilla praising their generosity. The support for the whole endeavor resonated with Blavat, too, especially since he has devoted most of his life to spinning the timeless tunes all over the area. Gracie, a product of East Passyunk Crossing, joined Blavat and Avalon in thanking the attendees. Decked in a stylish black suit, the 80-year-old, who is marking his 66th year as a professional singer and guitarist, drew the most laughs, especially when speaking a bit in Italian. Mural Arts Philadelphia’s October love for our environs also included yesterday’s 9th Street Stock Exchange Private Press Tour in conjunction with a participatory art project with input from Passyunk Square-based curator Theresa Rose and will conclude Sunday through the unveiling of a mural honoring jazz guitar great Eddie Lang at Seventh and Fitzwater streets. 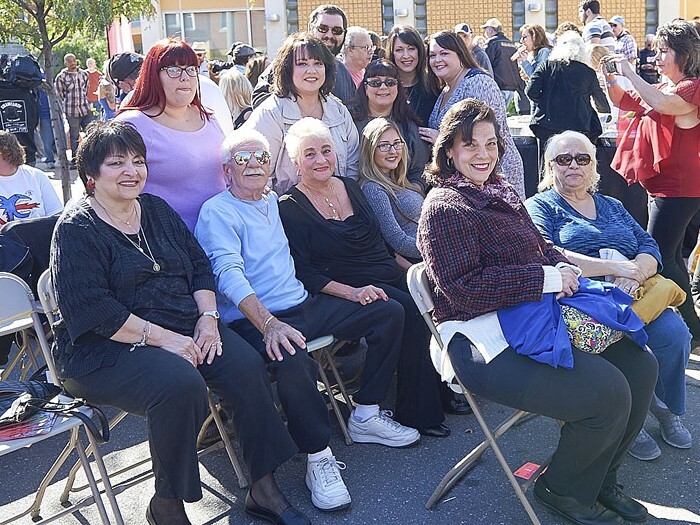 Wonderful weather helped the crowd of nearly 300 to enjoy a two-and-a-half-hour celebration of South Philly’s influence on pop music, with Frankie Avalon, middle, drawing applause for his legendary contributions. The depicted figures figure to attract attention for years to come thank to muralist Eric Okdeh.